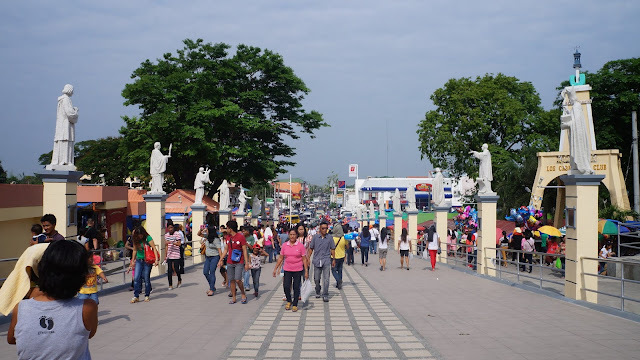 The Philippines is a Catholic country that piously observes the many Catholic feasts among which is the Feast of the Holy Rosary.There are actually many shrines in the Philippines bearing the title of Our Lady of the Holy Rosary and one of them is the one at Manaoag, Pangasinan. 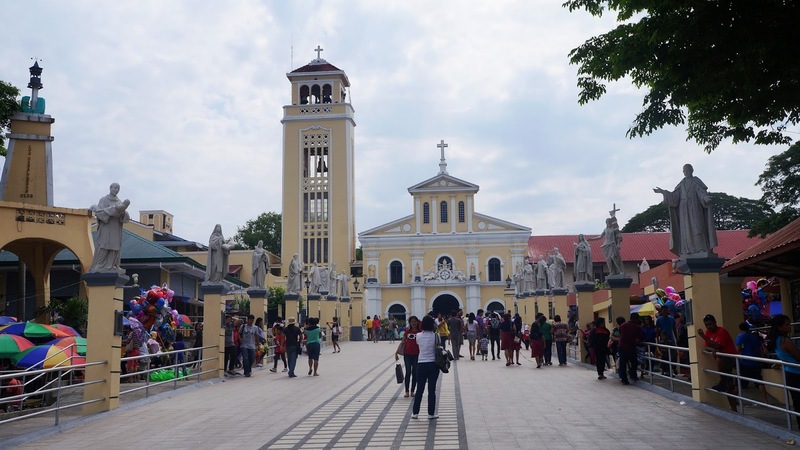 Our Lady of the Most Holy Rosary of Manaoag, or the longer name in Spanish of Nuestra Señora del Santísimo Rosario de Manaoag, is the most famous church of Pangasinan. Our Lady of the Rosary of Manaoag was the title given to Our Blessed Virgin Mary by the natives of Pangasinan who regarded her as the "Lady Who Calls." "Documents dating back to 1610 claim that a farmer walking home heard a female voice calling him (hence, “Manaoag” from the word taoag—tawag—“to call”). The voice came from an apparition of the Blessed Virgin Mary holding a rosary in her right hand while carrying the Infant Jesus on the other. The apparition told the farmer that she wanted her church to be built where she appeared. 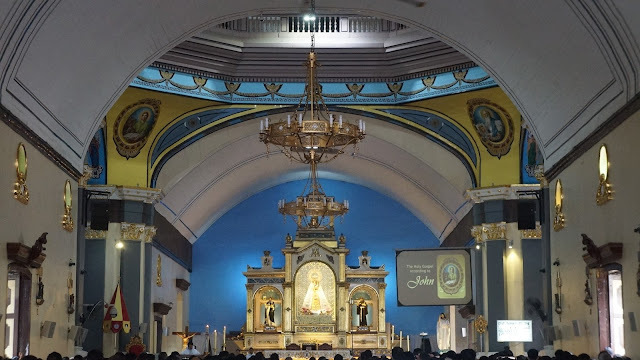 A chapel was built on the spot of the apparition and the town grew around it." 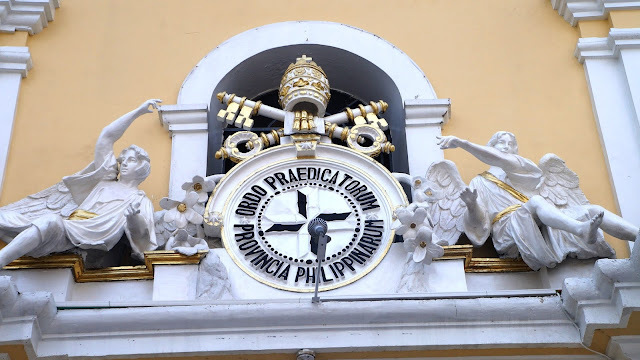 This favorite pilgrimage site in Pangasinan, has been formally elevated to a minor basilica in solemn rites on February 17, 2015 granted by Pope Francis. 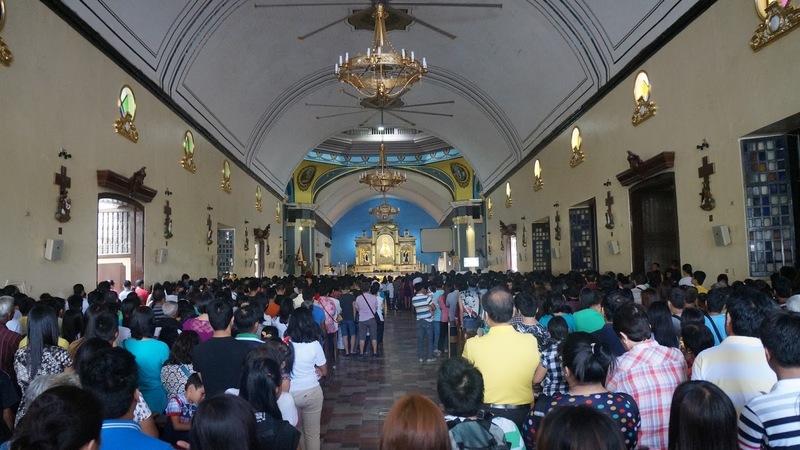 The church is often always among the destinations frequented by both local and foreign tourists if ever they want to visit this part of the country and would often be alongside their primary visit of the Hundred Islands in Alaminos. 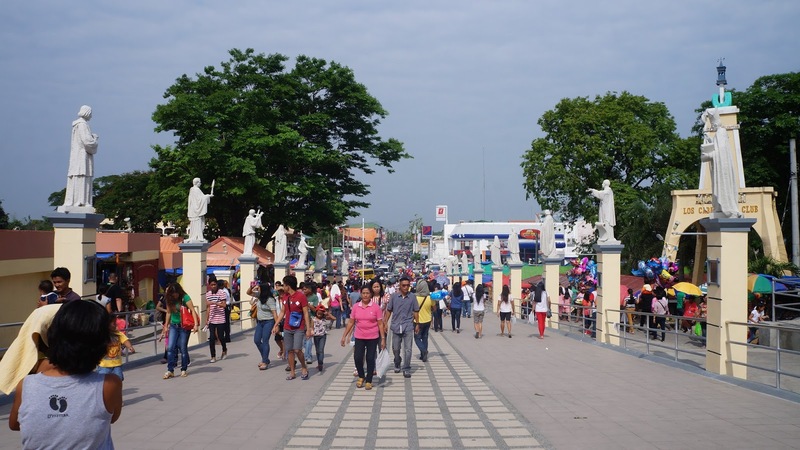 In our case, it's the best first stop for a Pangasinan tour so you could pray and reflect for a while before continuing with your trip. The church is also said to be miraculous so you might get a miracle if you are sincere and worthwhile. The church is a splendid structure administered by the Dominicans since 1605 of which the first church made of wood lasted a century. 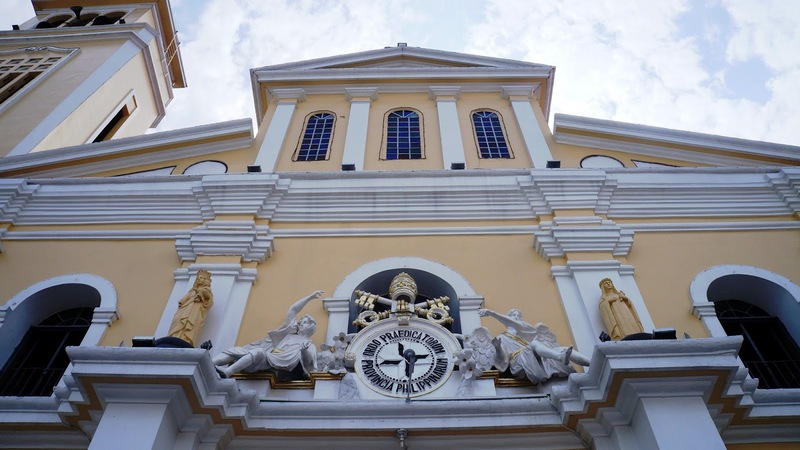 The second one, inaugurated in 1720, was built in stone was through the generosity of Gaspar de Gamboa and Agata Yangta. Itb was donated to the Dominican Republic in 1733. An earthquake in 1892 destroyed it so a provisional church made out of wood was built but was burned in the insurrection of 1898. The reconstruction of the present church was initiated in 1901 with the return of the Dominicans. You would need to fall in line to go see the miraculous Our Lady of the Most Holy Rosary of Manaoag located up on a certain part of the church so you need a lot of patience. But the line remains long since many Filipinos are truly faithful and believe in the powers of the image. I guess we need to have strong and unrelenting faith not only in the matters of religion, but in everything that we do. Many are saying that if we strongly believe in something, it will be easier to achieve if we are 100% determined and confident that all our efforts will be eventually rewarded.